paper size: 15" x 39"
image size: 13" x 38"
"He shot my dog Ziggy for barking too much. I knew he would go after my son next." Victoria could rarely recall a time her boyfriend was not waving a gun in her face. One day, she shot him, six times. 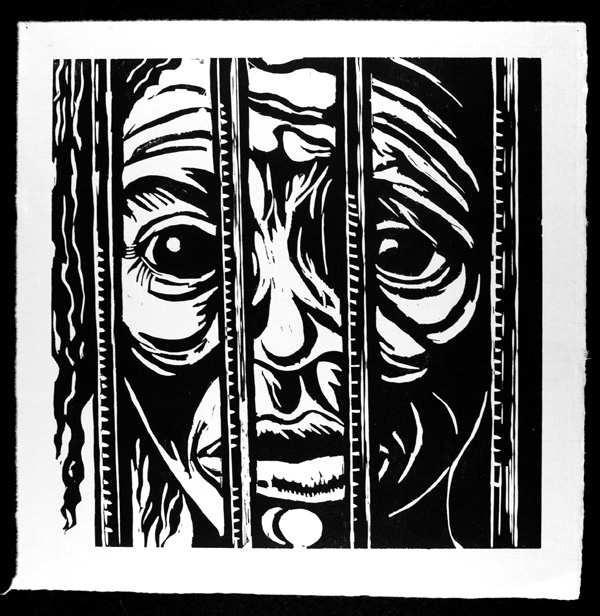 Being sexually abused by her brother, and later in life, by an uncle, turned Pam’s world upside down. Moving into a women’s shelter was the happiest day of her life. 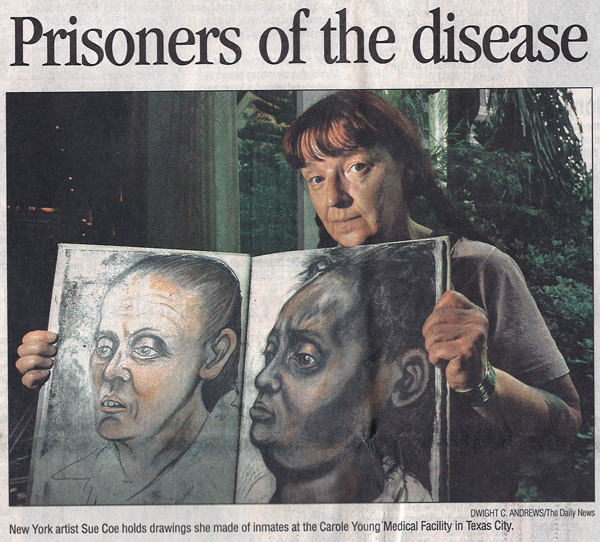 Pictured: New York Artist Sue Coe holds drawings she made of inmates at the Carole Young Medical Facility in Texas City.